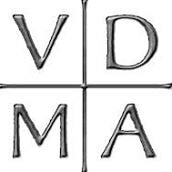 VDMA: Verbum Domini Manet in Aeternum was an early confession of the Reformation: "the Word of the Lord remains forever." a journal for the Evangelical Lutheran Church everywhere, discussing its history and theology. Lutheran Quarterly appears in Spring, Summer Autumn & Winter issues each year. Lutheran Quarterly, Inc. was incorporated as a non-profit society under the laws of the State of Wisconsin, May 21, 1984. NEWS & NOTES LQ is also on Facebook! That Lutheran Quarterly exists today is a miracle, plain and simple. Given the painful realities of serious academic publishing, an independent journal such as LQ is a rarity, without institutional support (and attendant oversight!) or a deep-pocket funder. For over thirty years now LQ has been publishing the best theological and historical scholarship and insight on the Lutheran tradition, independent of any institutional attachment. We can speak the truth, and make our arguments as we can. Truly a miracle. If LQ is a miracle, then Oliver Olson is the miracle worker. In the 1980s Oliver almost single-handedly spearheaded the drive to revive Lutheran Quarterly from the oblivion it had sunk into in the early 1970s. It was an audacious move, but one that he carried out by the force of his vision and will. As the (re)founder and first editor of the journal, he established the norms and patterns of its existence, and then found others to carry on his legacy and vision. Miracles can take us only so far, however. Legacies and visions must be sustained by constant work, commitment, and resources. It becomes the task of the current and future leadership of Lutheran Quarterly to carry out our mission with the boldness and vigor that Oliver brought to it in its (re)founding over thirty years ago. We propose another miracle: the formation and funding of the Oliver Olson Endowment for Lutheran Quarterly, to honor Oliver, and to ensure that his vision lives on into the future. This endowment will be our commitment to his work and to our present and future work in providing the best of Lutheran scholarship and theology for the church and the world. The Olson Endowment will be another resource for continuing and strengthening this work. We ask you to join with us in establishing and generously funding this endowment to honor Oliver and to continue our shared work. *With $16,500 given/pledged already, we invite your gift and/or pledge for 2019-2020, to managing editor Bud Thompson. *Contact: vftonlummi@gmail.com or call 410-516-6987. Click on the title above to enjoy this great essay on Melanchthon's biblical scholarship. And remember, you can subscribe to Lutheran Quarterly online! Print and/or electronic versions available. For the 500th anniversary of the Reformation, Lutheran Quarterly proudly presents this Timeline of Global Lutheranism. The timeline presents 10 key moments from each century since 1517, providing a total of 50 historical touchstones. Essays connected to each of the 50 topics can be accessed through the timeline or here. Lutheran Quarterly is proud to offer these essays gratis, for personal and educational use. Thank you to your publishers at Johns Hopkins University Press for working with LQ editors & staff on this project. Click here to read the press release for this exciting new partnership. As of January 1, 2016, Lutheran Quarterly is published by Johns Hopkins University Press, making the journal available in a full-text online edition as well as hard copy. The contents of LQ will remain entirely up to its editors and board. Read the press release from JHUP here! A new online order form can be found in our Subscribe page. Welcome to this exciting new chapter in the life of Lutheran Quarterly! This website offers info about current & past issues, access to featured essays, sermons in the Lutheran law-gospel tradition, book reviews, subscription information, and more! Please browse the site to get a glimpse of the many things that Lutheran Quarterly offers.